Windows for FTIR Spectroscopy | Applied Diamond, Inc.
As research and development of quantum processing grows, so does the need for new materials necessary that can handle conditions necessary to produce results. Synthetic diamond has recently emerged as a candidate material for a range of quantum-based applications including: secure quantum communication, quantum computing and magnetic/electric field sensing. The nitrogen vacancies in some diamonds have emerged as a promising candidate for applications involving information processing and sensing. 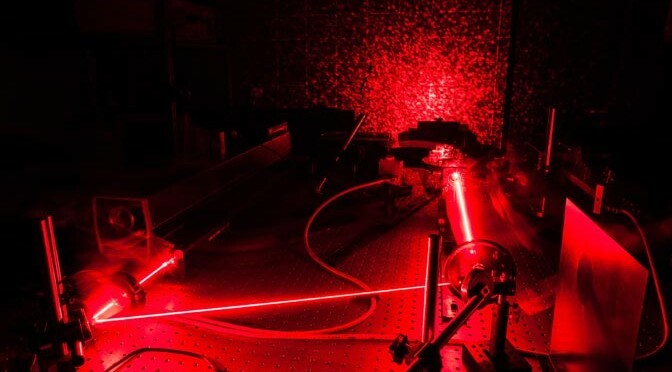 Synthetic diamond offers advantages over competitive materials as the quantum properties of the defects it hosts can be manipulated and probed at room temperature. Depending on the application, this includes electronic grade single crystal CVD with extremely low levels of impurities (<1 ppb) , optical grade Sc-cvd (<1 ppm) all the way to HPHT (high pressure high temperature) synthetic diamond with very high levels of nitrogen dopants (>100 ppm). We have a decade of experiencing developing thin plates down to nanometers in thickness that can be used for research of quantum states, and have worked with prominent labs in the United States on their needs. If you are considering diamond as a material or have a more concrete need for diamond parts for your research, please reach out to Applied Diamond. We’ll be happy to help.